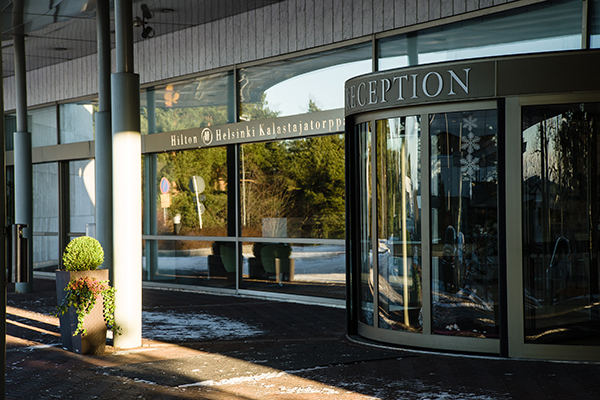 The conference venue is the traditional seaside hotel, Hilton Helsinki Kalastajatorppa. All presentations and meetings take place in the Conference and Meeting Center of Kalastajatorppa. Hilton Helsinki Kalastajatorppa is situated 20 kilometers from Helsinki Airport. It takes about 30 minutes by taxi. If you arrive by your own car you will find limited amount of free parking spaces near the hotel. Link to the parking map. You will find further information about the location on hotel website. For delegates wishing to stay overnight we have reserved room allotment in the hotel. The room price 155€ for a double room and 135€ for a single room includes breakfast, wifi and VAT. The room type is Hilton Guest Room. Read more about the rooms on the hotel website. Please mention the reservation code G1SOFB when booking your accommodation.